Local History: Gheen’s Mt. Pleasant Stables | Park View, D.C. 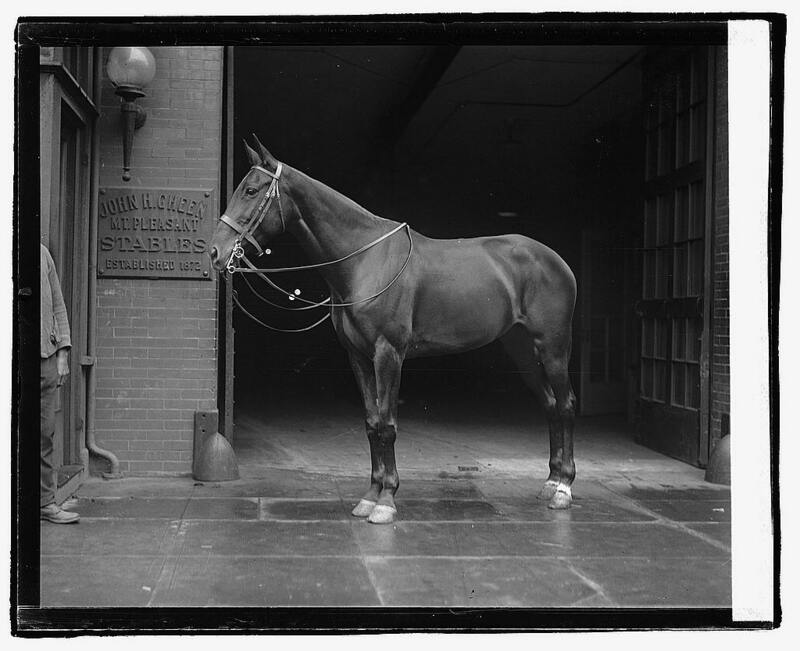 While browsing historic images at the Library of Congress, I stumbled upon the image to the right of First Lady Grace Harding’s horse Lady from 1921. but it wasn’t the horse that caught my eye, but rather the sign on the building behind the horse — “John H. Gheen, Mt. Pleasant Stables, Established 1872.” This made me want to know a little bit more John H. Gheen and the stables. According to Gheen’s obituary, he died suddenly at his home, located at 1516 Park Road, early on the morning of October 22, 1909. At the time of his death, he had resided in Washington for 35 years and was one of the best known liverymen in the city. The Mt. Pleasant Stables were located at 3118 Fourteenth Street, NW. In looking at old real estate maps, this would place the stable roughly where the DCUSA IHOP is located. 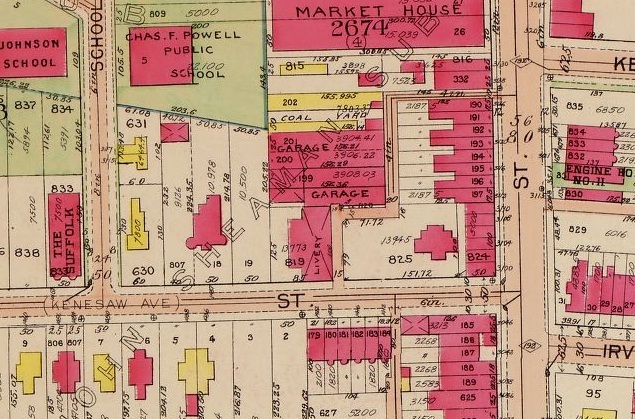 The detail above, from the 1909 Baist’s Real Estate Atlas of Washington, shows Gheen’s livery located on the north side of Irving Street, just west of 14th Street. Upon John H. Gheen’s death, the business was carried on by his son, John O. Gheen. He also operated the Shoreham Saddle Club before establishing the Meadowbrook Club on the East-West highway, Chevy Chase, in 1934. Perhaps more notably during the time, he was among the first organizers of the National Capital Horse Show. Gheen, the son, showed and judged horses all over the country and served on the executive committee of the Inter-American Horse Show Association. It is likely his notoriety with horses that lead to the First Lady’s horse being at his stables in November 1921, although I’ve not been able to find a specific reference to the occasion. 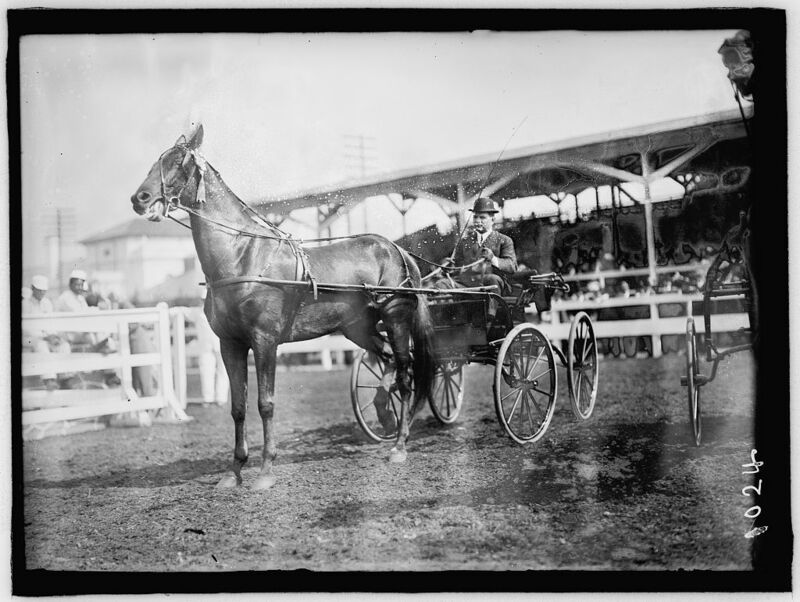 Gheen, along with other well known horsemen in Washington, organized a horse show in late April 1910 which became an annual spring event. By the time of the 1911 National Capital Horse Show, show grounds where leased for a minimum of five years between B and C Streets and 18th and 19th Streets, NW. Work began immediately building the stands, stables, and offices to run the show. Below is a photograph from the late 1910s showing the location of the show grounds, just west of DAR Hall. Aerial photo ca. 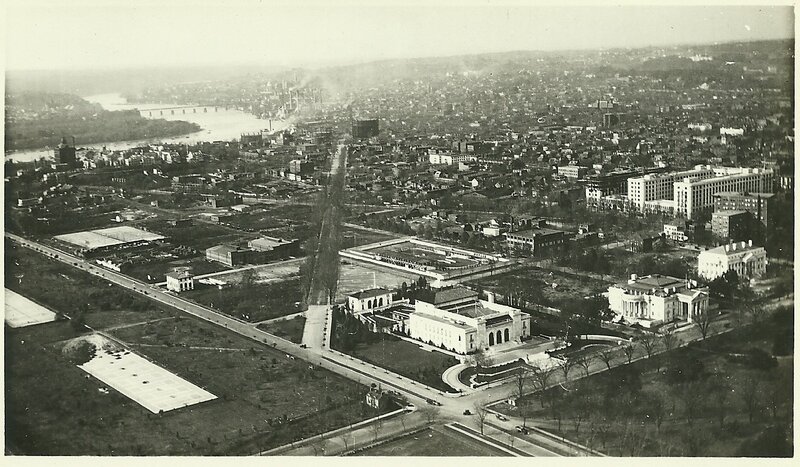 1918 with the intersection of 17th and Constitution in the foreground. The show grounds of the annual horse show are easily identified. This entry was posted on August 20, 2012 at 7:01 am and is filed under History. You can subscribe via RSS 2.0 feed to this post's comments.